What is a GREIA Buyers Agent? A credible guide who will help you find a home or property. We are ready to search for a home and we know it is a challenge to search out there. The preparation of paperwork, stampedes of buyers competing for the same property, and all the other challenges before a buyer would get their hands on house keys. We know and we won’t lie. The process for searching for a suitable property can be complex and stressful which is why having a GREIA Buyers Agents be by the buyer side, that can make all the difference. You may have heard of Buyers Agents and more. You are a Buyers Agents so what is a Buyers Agents. As in the name Buyers Agents assists home and property buyers every step of the way GREIA Buyers Agents also save buyers time and money while on the journey to home and property ownership. Read on to learn how GREIA Buyers Agents can help and how they find the right home/property for buyers. A GREIA Buyers Agents will guide you through the home or property buying transaction and will be there for any questions or concerns that the buyers may have. After researching and certain what the clients are looking for and what their budget is the GREIA Buyers Agents will create and schedule appointments to tour homes and properties that fit the bill. The GREIA Buyers Agents can explain all the details of various properties and neighborhoods to support and help buyers. Choose which home or property is right for them by explaining all the advantages and disadvantages of various options. The GREIA Buyers Agents will advise the buyers/clients on an appropriate price to offer and present that offer to the sellers agent. The GREIA Buyers Agents will then negotiate on the buyers behalf and write up the contracts for the buyer. This is where the agents experience can save buyers money and help pitfalls like a property that has to be fixed up that could be more trouble than what it is worth. • GREIA Buyers Agents should be able to refer buyers to reliable mortgage brokers, real estate solicitors/attorneys, inspectors, movers, and more. All this can help buyers expedite each step of the buying process and support the buyer to a successful purchase and for the seller to have the sale all the faster. Buyers vs listing agent what is the difference? Buyers Agents are legally bound to help buyers whereas listing agents, the agent that is representing the home seller have a fiduciary duty to the home seller. That is why it is in a home/property buyers interest to get an agent who is there to represent the buyer. • How to find a Buyers Agents? A Good Buyers Agents can ease the way when a home/property buyer is intending purchase. A bad one can cost you a lot of money when mistakes are made. As such buyers don’t take the first Buyers Agents you meet which is what a lot of buyers do. GREIA Buyers Agents have local expertise in the area buyers are interested in. 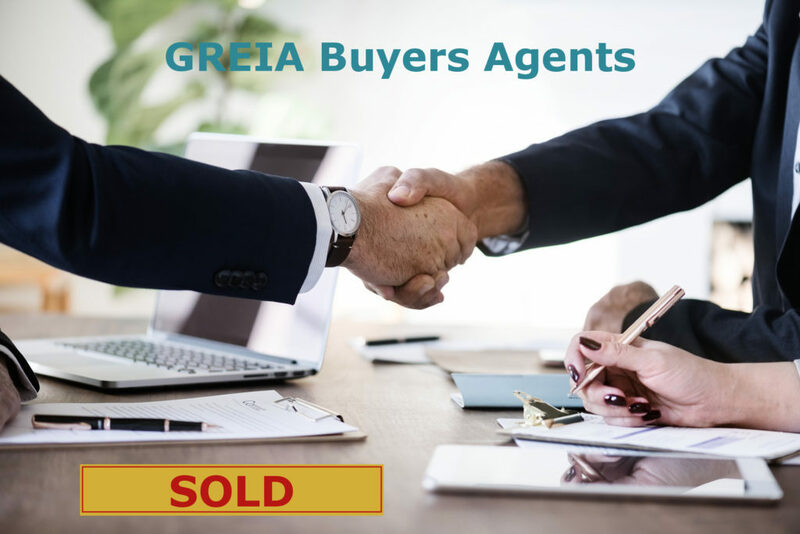 Once a buyer agrees to work with a GREIA Buyers Agent they will sign a contract called an exclusive buyers agent agreement outlining the GREIA Buyers Agents services and compensation. This contract also means that the Buyers Agents will be the buyers sole representative and that the buyer won’t work with any other Buyers Agents. How much do Buyers Agents cost? Buyers Agents will negotiate their fee with the buyers who engaged the Buyers Agents. In some countries the seller agents pay the buyers agent commission. This can be negotiated as a percentage of the sellers agents fees usually 6% commission and the sellers agent splits the commission. This differs in different countries. Buyers Agents should inform themselves who is going to pay their commission in the event of a successful sale.